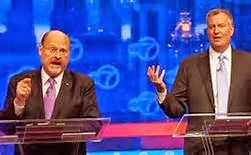 The Urban Politico: Has Lhota Injected Race into this Campaign? Okay! So he went there. Has Lhota injected a negative component on race into this campaign?